Christmas has always been big for me. Possibly because I was born in the UK and was surrounded by Christmas traditions and festivities from childhood. My parents tried to ensure continuity in my life as we switched continents. So I got a Christmas gift (a toy battle tank!) from my mother when we had moved to Iran and the Revolution had just broken out and life was pretty adventurous to put it mildly. We then moved to Kolkata and my dad threw a big Christmas party for my new paara (neighbourhood) friends. It was quite a new concept for them. Then my dad passed away and my mom brought my little brother and me up. Though life was tough, she'd still try to ensure that we had a gift every Christmas. As I grew up, Christmas remained an integral of my life. This was even though we had moved to a suburb of South Kolkata by then. Far away from glitzy shaheb paara of Park Street in Kolkata, known for its Christmas celebrations. Even in what was the extreme end of the city back then, there would be 'Xmas cakes' sold at corner shops. Bought and enjoyed by local Bengalis, mainly Hindus. Boro din, as Christmas was called (after the term Burra Din from the time of the British), was celebrated almost with the same fervor as Durga Pujo across Kolkata. The local church had nativity decorations with inscriptions in Bengali. My granny would cook Bengali celebratory dishes such as murgir jhol and mishti pulao, as we would gather at her house with a Christmas cake for boro din. I missed the Christmas spirit when I moved into Mumbai in the late 1990s. Celebrations were not as all pervasive here in those days. Then I discovered Hill Road in Bandra with its Christmas tree selling street side stalls and its local Catholic community. A colleague of mine from market research, Sundeep Mathias, invited us to his home in Mumbai's Goregaon suburb for Christmas and we were introduced to kulkuls, marzipan, guava cheese and jujube by his grandmom. These, we learnt, are sweets made by the members of the local Catholic community - a mix of East Indians, Mangaloreans and Goans - for Christmas. Along with the Christmas cake of course. The fruits for which would be soaked in rum a year or more in advance by grannies in polka dotted dresses. As the years passed by, Christmas became bigger and more all-pervasive in Mumbai too, as it already was in Kolkata, the city I had left behind in search of a new life. Restaurants in Mumbai introduced Christmas special meals by the early 2000s and turkey specials began to jostle with tandoori chicken for oven space. Newly opened bakeshops displayed their cakes, far grander and pricier than what the Mac (local slang for Catholic) mammas would make and sell from their houses. Then the big guns jumped in and cake mixing in five star hotels became quite the happening ritual to bring in Christmas and invites to these were as sought after as those for the myriad fashion shows in Mumbai and the derby at the race course. Cake mixing became a big event in the city and then a new trend emerged (new for Mumbai, that is) - that of gingerbread houses. Using gingerbread for Christmas, food folklore goes, dates back to medieval Europe. The Crusaders had brought back ginger from Arabian countries, it is said. The 'fusion chefs' of yore experimented with the then exotic ingredient, ginger. Gingerbread bakes were one result of the work of the early Hestons and Ferrans. Their novelty, as well as the therapeutic power of ginger against the winter cold and its preservative qualities too, made gingerbread bakes feel special. The tradition of making gingerbread houses per se is said to have emerged in Germany in the 1800s inspired by the Grimm's fairy tale, Hansel and Gretel. Two centuries later, it has now made its way to India too. 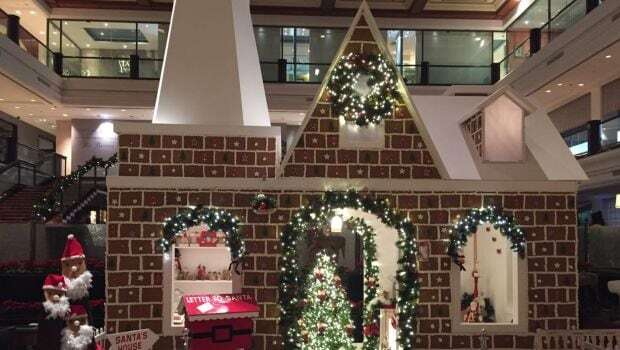 Chef Anirudhya Roy, the Executive Chef of the Taj Lands End hotel in Mumbai, has led a team which has made a massive gingerbread house in the hotel's lobby this year. Chef Roy and I caught up for a chat while young children sang carols in the lobby, lighting up faces of everyone around. Roy told me that he'd not seen gingerbread houses in hotels in India in the early part of his career, before he set off to work abroad. This was two and a half decades back. 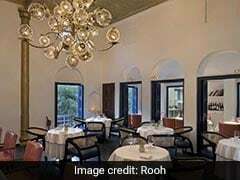 Like many Indian chefs, who moved out in search of work in the last fifteen years or so, Roy has moved back to India too. 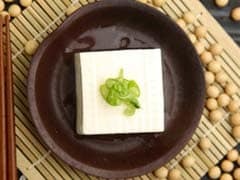 He credits the emergence of trends such as gingerbread houses partially to chefs who have worked overseas and are trying to bring back ideas they have seen abroad. A bit like the crusaders of Europe had once done, I thought, when they brought back ginger from Arabia to Europe. Though a new custom, Roy sees patrons enjoying the novelty of gingerbread houses and finds that many are buying them to take home for the kids. A phenomenon seen in Delhi too, by Ipshita Mazumdar Chakladar of The Hot Pink Cake Studio. She keeps studying international confectionery trends and introduced gingerbread houses about four years back to her clients. These houses now occupy pride of place at her store window displays. She has seen an increase in people buying and taking home gingerbread houses. It's a fun thing for the family and kids to get together and break and eat on Christmas, she reckons. An ideal gingerbread house must be completely edible and not use any material that kids can not eat. And thus, it is a tedious and time consuming process. Whether gingerbread flavours and tastes will become mainstream, remains a question mark. Ginger flavours in desserts is not very familiar to the Indian palate after all. Ginger powder, as saunth in chaats, unites India no doubt, but there are hardly any mainstream mithais or mishtis with ginger in them. 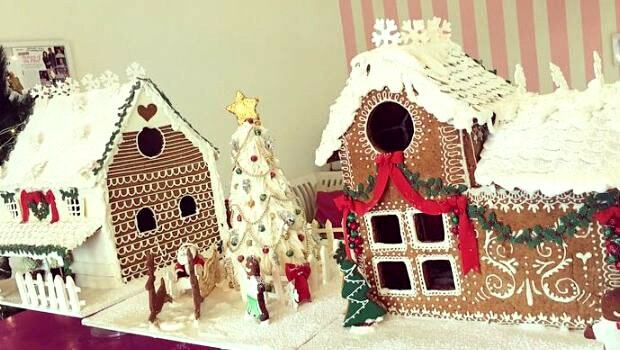 As Allan Perreira, of Candies Café points out, gingerbread houses are time consuming to make. He did introduce gingerbread cookies one year at the café, but usually sticks to more traditional Goan Christmas goodies, as do most of the small bakeries of Bandra in Mumbai, famous for its Catholic community. Whether the Christmas gingerbread baking will become a part of India's festive culinary fabric, as the Plum Cakes have become today, is something which only time can tell. For now, it is best to leave the crystal gazing aside and soak in the festive spirit and be happy.